The political satire scene took a couple of body blows when Jon Stewart left The Daily Show and Stephen Colbert gave up his Colbert Report. The slack was taken up ably by John Oliver, Samantha Bee, and a resurgent Saturday Night Live. But a leading light in this arena has been Late Night with Seth Meyers. This week Meyers delivered one of the best take downs of Fox News since Jon Stewart left the stage. In this segment Meyers begins by noting that the sexual harassment allegations against Bill O’Reilly offer an example of Fox News’ “symbiotic relationship” with Donald Trump. And, yes, Meyers makes the connection. 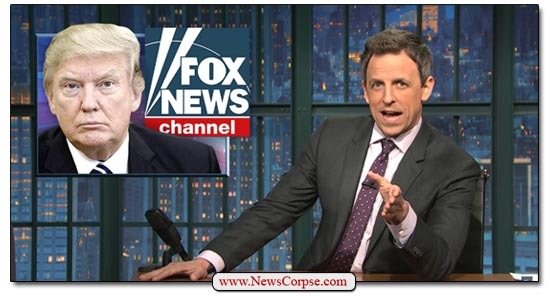 Meyers points out how Trump has been promoting Fox News programs on his Twitter feed. “Instead of a bible,” Meyers says, “Trump should have been sworn in on a TV Guide.” And Fox News happily reciprocates by promoting Trump’s promotions of Fox. The clip with Fox and Friends co-host Steve Doocy is worth the price of admission by itself. The whole piece is a brilliant combination of humor and perceptive media analysis. This clip can be saved and replayed for both its entertainment value and its uncompromising honesty and insight. Critics of Donald Trump warned that he was unprepared for the presidency, and unwilling to prepare, long before Election Day. Now as President-Neglect he is validating all of their worst fears. Reports that Trump has been shrugging off national security briefings raise serious concerns about his commitment to the job. These briefings are not social get-togethers for lonely intelligence operatives. They are critical data exchanges that could impact the lives of American citizens as well as those of our foreign allies. And they are especially important for someone who has no prior experience in international affairs. 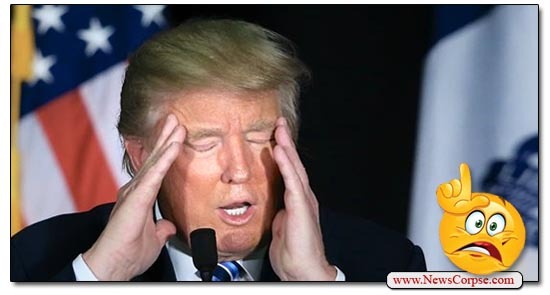 Trump needs to be ready on day one of his presidency, and there is more to learn than he comprehends. The terrorist attacks on 9/11 occurred less than nine months into the administration of George W. Bush. And he had warnings that he also ignored. “With all due respect Mr. President-Elect, on our behalf you have to pay attention. You have to attend these briefings. This is our country, this is our security, this is our safety. You’re horsing around with all this nonsense and you’re not doing your number one job. And the number one job of the president is to make sure that the country is safe. That doesn’t seem like to much to ask. The fate of the nation (and the world) is at stake. We have a tragic precedent in 9/11 that ought to make this an easy call for Trump. Unfortunately, nothing seems to be easy for him, particularly if it requires actual work. He shouldn’t need to be prodded to do the most basic parts of his job. If it’s too much for him, he shouldn’t have asked for the job. 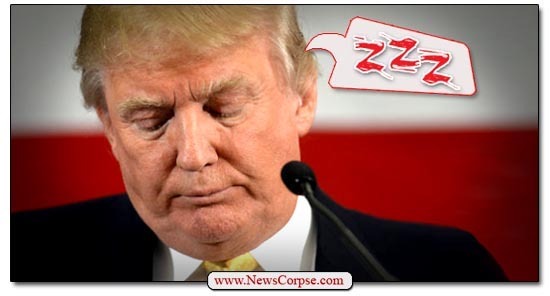 But now we’re stuck with him and we expect him to spend more time with security briefings than with ego-stroking victory rallies and comedic impressions. 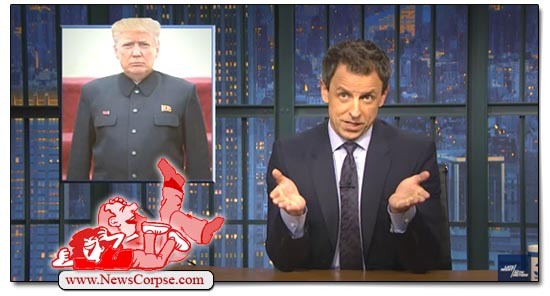 Seth Meyers is proving to be one of the smartest and funniest of the late-night, political comedians. He has taken his mock-news anchor persona from Saturday Night Live and made it a central feature of his NBC Late, Late Show. And last night’s outing is one of the best examples of why it’s working so well. Meyers “A Closer Look” segment took on the subject of voter ID (video below) with the opening premise that “Voting levels in the U.S. are already among the lowest in the industrialized world,” with slightly more than half of eligible Americans participating in the democratic process. That compares to some other democracies like Sweden where the participation rate is over eighty percent. The segment spelled out how these laws specifically make it harder for low-income residents and people of color to obtain the newly required photo IDs. He cited as an example a 94 year old North Carolina woman who was put through an absurd obstacle course that included ten trips to the DMV and over 200 miles of commuting. All of this to allegedly prevent a suspicious nonagenarian from scamming a North Carolinian whistle-stop out of a single vote. Meyers correctly observes that the only fraud associated with the anti-voting laws is the purported reason for their existence. The law’s defenders say they are trying to stop voter impersonation – a crime that nobody is committing. Enacting laws to prohibit crimes that aren’t occurring is, as Meyers said, like saying “We’re not sure you’re gonna be on The Batchelor, but you should start taking Valtrex anyway.” Had the law been in effect since 2000 it would have prevented thirty-one possibly improper voters out of more than two billion cast. However, at the same time, it would have kept hundreds of thousands of legitimate voters from casting ballots. In one particularly egregious example of voter disenfranchisement, Meyers cited an Alabama law that resulted in the closure of DMV offices in mostly rural counties. The secretary of state promised that he would offset that loss of access by dispatching a mobile unit to provide IDs and register the estimated 250,000 voters that didn’t have the IDs made necessary by the new law. He said that the mobile unit would be sent to festivals, schools, churches, and even Walmarts. But when asked how many IDs the unit issued last year he answered, “only twenty-nine.” Out of 250,000. To which Meyers quipped that the unit must actually have been sent to empty lots, swamps, abandoned mineshafts, and Radio Shacks. The issue of voter suppression is one that is too often ignored by the so-called liberal media. But it is one of the most harmful initiatives being carried out by conservative politicians with the support of right-wing media. Fox News, of course, is leading the way in promoting the false narrative of imaginary voter fraud. For instance, Bill O’Reilly has been fear mongering for years that lax rules for registration are threatening to let “illegal aliens” take over the country. 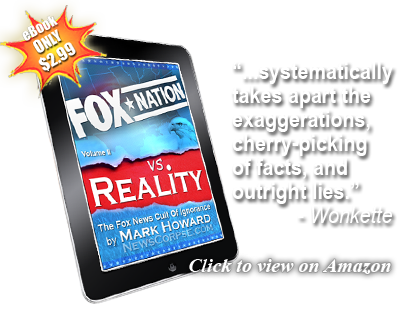 It’s a lie that he and others at Fox are continuing to push on their dimwitted cult of viewers. Forgive us if we’re not quite certain to whom she is referring. The first group that comes to mind when described as an “outgunned punkass-evil, misogynist, homophobic, intolerant death cult,” is the Republican Party. Chances are that is not what Palin had in mind. But the GOP is a party that worships the NRA, is fiercely opposed to women’s issues, regards gay rights as blasphemy, and relentlessly lobbies for unending war. So Palin should have been more specific if she wanted people to reach a different conclusion. And speaking of “a blowhorn, stirring domestic aggravation,” has she looked in a mirror lately? In her Facebook rant, Palin asserts that the only thing necessary to defeat ISIS is the “the political will from on high with the command to ‘fire! '” She is apparently ignorant of the fact that under Obama’s direction the command to “fire” has been issued over 8,000 times. That’s how many U.S. bombing missions have been conducted against ISIS in the past couple of years. As a result, many of their leaders have been killed and their hold on territory has receded. In addition, other nations such as England, Germany, France, Jordan, Saudia Arabia, even Iran, have been battling ISIS. So Palin’s attempt to minimize the difficulty of the task is plainly ill-informed. Furthermore, the successes achieved thus far are not diminshed by the fact that small cells of ISIS sympathizers have carried out random acts of terrorism. That’s one of the harsh realities of modern warfare. 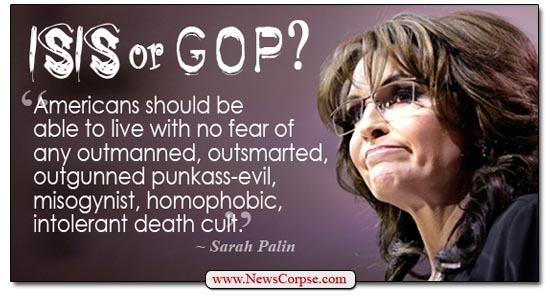 Palin went on to say that “Muslim extremists crave an oncoming clash of civilizations.” That’s true. And it’s one of the arguments for refusing to surrender the high ground to them on that matter by referring to them as “Islamic” terrorists. ISIS is desperate to be viewed as the legitimate voice of Islam. However, most Muslims reject that claim and oppose the designation. 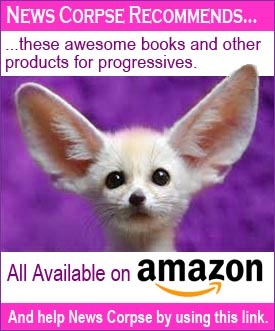 In fact, the only parties insisting that ISIS be called “Islamic” terrorists are ISIS, Republicans, and Fox News. Finally, Palin takes a dig at Seth Meyers, who interviewed her last week (video below). During the segment he effectively shamed her for being so insensitive to the plight of the Syrian refugees who are seeking asylum in the U.S. and elsewhere. She charged that he needs to “recover” from his “gullibility.” But it was Palin who demonstrated that she is incapable of coherent analysis and didn’t even know the process in place for vetting refugees before admitting them. Now she is demeaning Meyers and anyone else for “believing the Feds have an 18-24 month bureaucratic vetting process that successfully filters out the bad guys.” Of course, there have been nearly 785,000 refugees admitted into the U.S. since 2001 and not a single American has been harmed because of it. Since Palin was so inept at responding to Meyers’ questions on the show, she is now resorting to a second try via an editorial on the widely disrespected, wingnut and birther website, Breitbart News. But she still fails to make any sense and her reputation as a blithering idiot is only enhanced. She should have quit while she was a[air]head.